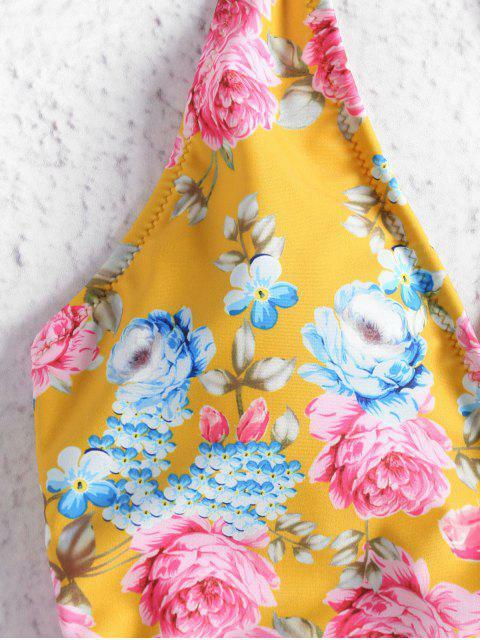 [40% OFF] 2019 Floral Self Tie High Cut Swimsuit In GOLDEN BROWN | ZAFUL .. This one was so flattering to my body, by far my favorite fit of all the swimwear I purchased. 5’8 and 160 lbs fit me like a glove. Love this swimsuit! Shows just enough skin, true to size, and great color!